Today begins my countdown to the Italian release of Alessandro Piva’s new film, Milionari. 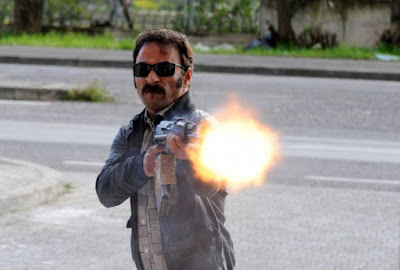 The story, inspired by one of Napoli's most notorious crime bosses, is based on the book written by Luigi Alberto Cannavale and Giacomo Gensini. I will profile the director and a couple cast members. Today, let’s start with actor Salvatore Striano. They say that everyone has a story and actor Salvatore Striano is no exception. Born in 1972 in Napoli's notoriously rough neighborhood of Spagnoli, Striano comes from a hard-working family. 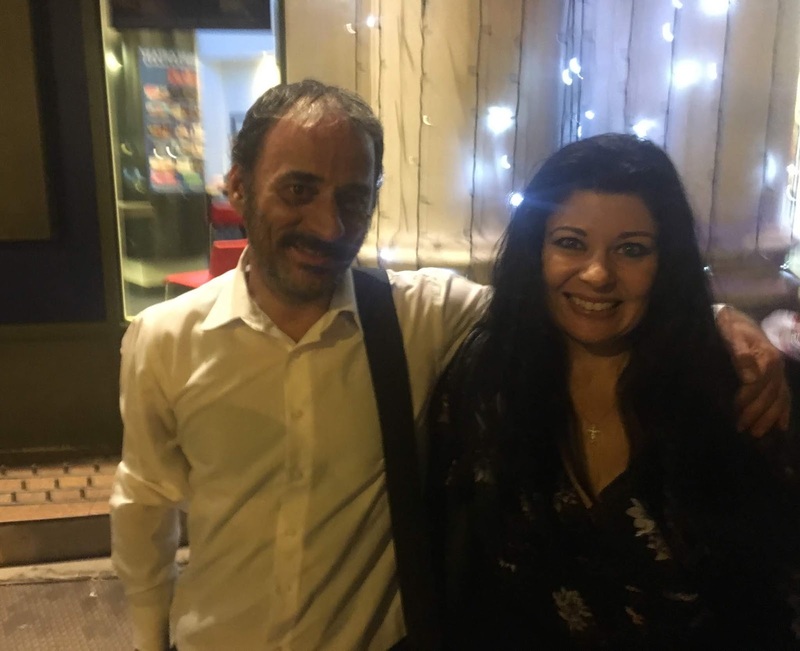 The third of four children, Striano lost his way during his teenage years, but rebounded like no other, and today he is considered one of Italy’s most talented character actors. Striano describes his family as “gente semplice” – simple people. His father left for work at 5:30 in the morning and worked well into the evenings. His mother sold clothes at sidewalk stands. At the age of 9, his toddler sister came down with a serious illness and was hospitalized for several months. Striano’s mother did not leave her side. With a father that worked all day and a mother at the bedside of her daughter, there was little to no supervision during that period for Salvatore and his siblings. That’s when things started to go wrong and his so-called street life began. Striano started hanging out with a group of kids. They sold cigarettes and would get into mischief like any other pre-teen boys. However, things got more serious within just two years when he robbed a store with a group of adults who used him for his small frame to fit through a tiny window. Not long after, he ended up in the local jail. He said that his mother slapped him and his father refused to visit him. They were sick over the direction in which their son was heading- right for a life as a career-criminal or camorrista, like so many other kids in that neighborhood. After he was released from jail, he went right back to his old ways. From robberies, to possession of an unlicensed firearm to cocaine dealing, he was in and out of jail in Naples and was even sent away to a high-security prison in Spain. Eventually, he ended up at Rome's maximum-security Rebibbia Prison. It was there that his life profoundly changed for two reasons: his mother passed away during his incarceration and he discovered acting. While at Rebibbia, he was urged to participate in the prison’s infamous theater program in which inmates create a production of a master play. At first, he turned down the opportunity but then reconsidered. I asked Striano about this experience. He told me that it was a production of Napoli Milionaria by the beloved Neapolitan actor and playwright, Eduardo De Filippo. He was asked to portray a female character. He wasn’t crazy about the idea but he took all the suffering that he was feeling for his mother and channeled it into his character. And his passion for acting was born. He wanted to know more about literature and its great masters. He thought about studying Dante but another inmate discouraged him and said that he should read Shakespeare’s Hamlet instead. He told me that when he began reading Shakespeare, it made him feel a little “stupid” perhaps because of the story’s complexity and language. But he persevered and today, he owes his life to Shakespeare. He says that he truly became free after discovering this world of literature and acting. Striano's first movie role was the camorrista, Scissionista in Matteo Garrone's critically acclaimed Gomorrah. Striano exploded onto the acting scene with Scissionista. He took complete control of every scene. You would never know it was his first role. Once the film was released in Italy, Striano became an overnight sensation, a Neapolitan success story. He was invited to just about every Italian talk show to share his incredible journey. He was then invited to schools in the south to talk about his life in crime and the pivotal role education and literature played in turning his life around. Watch Striano's amazing performance in this clip from Gomorroah..
Over the years, I've enjoyed Striano's work as an actor. However, I had no idea of his background until I met Giovanna Taviani during a retrospective of her work in Rochester, New York. During her presentation of the Taviani brothers' Caesar Must Die (Cesare Deve Morire), she talked about Striano's background and all that he has done to give back to the community in terms of talking to kids about the importance of education and culture. After learning about his story, I can’t watch him without thinking of Anna Magnani and another beloved Neapolitan actor, Antonio De Curtis (Totò). I’ve written often about the tortured souls of these two actors and how more often than not, those real-life experiences were most likely called upon while their characters suffered on screen. Since Gomorrah, Striano has appeared in a number of films and television shows. However, the performance that really blew me away was “Brutus” in the Taviani brother’s Cesare Deve Morire, a production of Shakespeare's Julius Caesar in Rome's maximum-security Rebibbia Prison. Needless to say, the role was deeply poignant for Striano as he literally returned to his roots of acting. Perhaps that’s why his performance is so strong and compelling. There are several scenes that make this film a masterpiece including the beginning when during the audition process, inmates are asked to give their name, date, place of birth and residence prior to incarceration.. expressed in two polar opposite emotions- desperate despair and defiant anger. 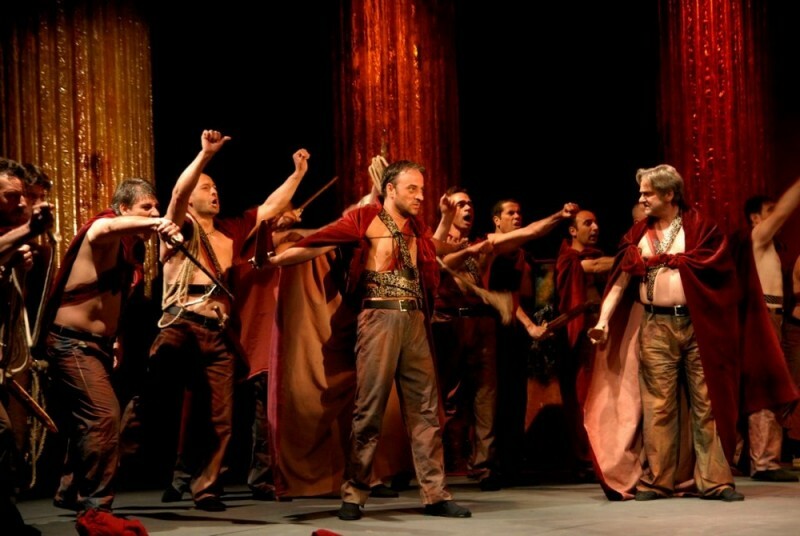 The director of the production suggests the men perform in their own dialects, which include Roman, Neapolitan, Calabrese and Pugliese. In doing so, it makes the actors feel more natural in the portrayal of their character. Striano was pardoned from the prison in 2006, but with this role, it’s obvious that the experience is a key part of his not-so-distant past. Salvatore Striano is a natural performer. He acts with complete heart and soul. When you watch him in an interview or just being himself, there is a calmness about him but the moment the camera starts rolling, he immediately transforms himself into someone else. Milionari will be released in Italy on Thursday, 11 February. Watch the trailer..